Arbeitsspeicher 4,0 GB DDR3. Netzteil ist dabei. MMC Kartenleser. Windows 10 Pro 64-bit ist neu installiert. HDD -- 320,0 GB. CPU T4200 @ 2.00 GHZ. 1x Mikrofon Eingang …. 2x Audio Ausgang. inkl Original-Ladegerät. DELL Studio 1537. Tierfreier Nichtraucherhaushalt. DELL Studio 1537 15,6 Zoll Windows7 Home 4GB RAM 256GB Festplatte inkl Original-Ladegerät . 32 Bit Betriebssystem DualCore Centrino Webcam 2x USB 2.0 1x eSATA SD slot CD/DVD writer HDMI 2x Audio Ausgang 1x Mikrofon Eingang Zustand: Gebraucht. Keine Fehler oder Defekte Versand mit DHL Paket bis 5 kg. Wiedersehen macht Freude. Bereits in seiner x-ten Auflage bringt Dell Das Studio 15. Die Basis selbst bleibt gleich und bietet demzufolge auch dieselben Vorteile der aktuellen dell Studio 1558 Chassis. Brauchen Sie eine WLAN-Karte?. DELL Latitude D620. DELL Latitude D630. DELL Latitude D830. DELL Latitude D610. DELL Latitude D600. DELL Latitude D820. 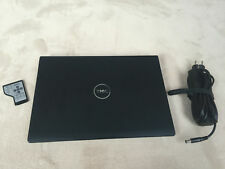 DELL Latitude D520. Zustand:Vermutlich defekt (Grafikkarte), ansonsten gepflegter Zustand, Akku (Li-Ion) in Ordnung. - Das Gerät wirdohne Festplatte verkauft. This laptop was tested to boot to bios and is in working order. The physical condition of this laptop is fair. NO HARD DRIVE. LCD SCREEN. See pictures for more info. Vendo pc laptop DELL Studio 1537 Intel Core DUO 2GB Ram 128GB SSD Windows 7 Pacchetto completo Office 2007 HDMI DVD Wi-Fi perfettamente funzionante e in buone condizioni estetiche, comprensivo di alimentatore, cavo di alimentazione e manualistica originali. Prestazioni ottimizzate mediante la sostituzione dell’hard disk Sata originale con uno SSD da 128 GB. La batteria è da sostituire in quanto ormai esausta. Si trovano occasioni anche su eBay. Se richiesto spedisco anche il vecchio hard disk ancora funzionante. Buona asta a tutti! DELL STUDIO 1537 IN VERY CLEAN CONDITION. HARD DRIVE CAPACITY - 320gb. RAM CAPACITY - 4gb. Dell System Detect for Dell drivers update. Dell Support Assistant. MS Office 2010 Professional Suite plus Suite. Display LED. - Tipo di retrolluminazione: LED. Condizione essenziale per l'esercizio del diritto di recesso è la restituzione in buono stato di conservazione dei prodotti acquistati. da 15,4" WXGA WideScreen 1440x 900. DELL Studio 15 series. DELL Studio 17 series. Dell Inspiron 1545. DELL Inspiron 6400. DELL Latitude D620. Dell Studio 1555. DELL Latitude D630. DELL Inspiron 9400. Machine turns on straight away and enters BIOS, when power is added. Strictly for spares and repairs as i have not tested any inner components. One key from the keyboard. I will not be held to ransom or bullied for petty issues, i have listed it for parts or not working as it has had no testing of any parts or components. The first is a Studio 1537 with 2GB RAM. It boots to BIOS and has a good LCD screen. Has NO HDD caddy. The next is an HP Elitebook 8530p with P8700 CPU at 2.53GHz. This one boots to BIOS, has 2GB RAM and appears be in good condition. 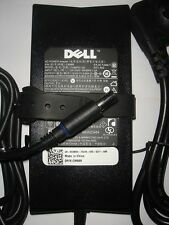 Dell Studio 1537 15.6in. Notebook/Laptop -For parts or repair. Drivers and Utilities for Studio 1537. Webcam Software(Webcam Central). Original Software and Setup Guide. McAfee Security Center. Dell Studio 1537 15.6in. Core 2 Duo Notebook/Laptop - Customized. Poor condition with damage to the housing as pictured. Power button seems to be damaged. Laptop doesnt turn on. Ive removed hard drive and ram. See all pictures. This used unit could be a nice source of repair parts. There is no screen assembly on this unit but the hinges are there and they do move freely. Palmrest is in nice condition with normal wear but there is no keyboard on this unit. Ports and plugs on the side look clean and clear. Unit does not boot up. Sold as pictured item only. No power supply or other items. Sold AS-IS. No Returns. No Hard drive or operating system.